Queensland will look at switching the location of the National Heavy Vehicle Regulator as legislation to create national regulations clears its first hurdle. In a show of bi-partisanship, Queensland politicians of all stripes yesterday voted to pass the Heavy Vehicle National Law Bill, which will establish the NHVR and consolidate various state and territory transport laws into one body of law. The passage now shifts focus to the other states and territories which, except for Western Australia, are expected to pass similar legislation to end cross-border regulatory inconsistencies. Jurisdictions are also due to pass an amendment bill to resolve outstanding issues. Queensland Opposition leader Annastacia Palaszczuk, who started the legislative process last year when Labor was in power, wants Transport and Main Roads Minister Scott Emerson to consider basing the NHVR in Toowoomba, which is a key freight hub west of Brisbane. "Toowoomba is an area that has a lot of transportation. Many of the vehicles come down the range to the port. 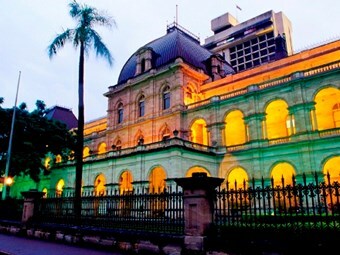 It would send a very good signal to a regional community that the host regulator was being based not in the Brisbane CBD but actually in a regional area," Palaszczuk says. She also suggested basing the regulator in other regional centres, such as Rockhampton. Emerson, who says the Bill will cut red tape and replace eight separate regulators, has agreed to take Palaszczuk’s suggestions on board, including going for a ride in a truck to get an industry perspective. "I acknowledge the contribution from the member for Inala and will certainly consider her suggestions," he says. Emerson labelled the Bill’s passage ‘historic’ and says national regulations will benefit vehicles operating across borders. The NHVR will take over control key areas of heavy vehicle regulation, such as registration, permits, gazettes, chain of responsibility and fatigue management. The NHVR is expected to be fully operational in July next year. "Cross-border confusion and delays will become a thing of the past under the new regulator," Emerson says. "The national law will bring clarity, safety and productivity improvements to the entire heavy vehicle industry." However, while the Bill relates to all heavy vehicles, the parliamentary discussion to date has largely omitted ‘bus and coach’.